Ford's second-most popular vehicle by sales has failed a critical crash safety test, earning the worst safety rating of seven small SUVs tested by the Insurance Institute for Highway Safety for front passenger-side crash protection. The 2018 Chevy Equinox fitted with the company's 1.6-liter EcoTec turbodiesel has its charms, for sure. 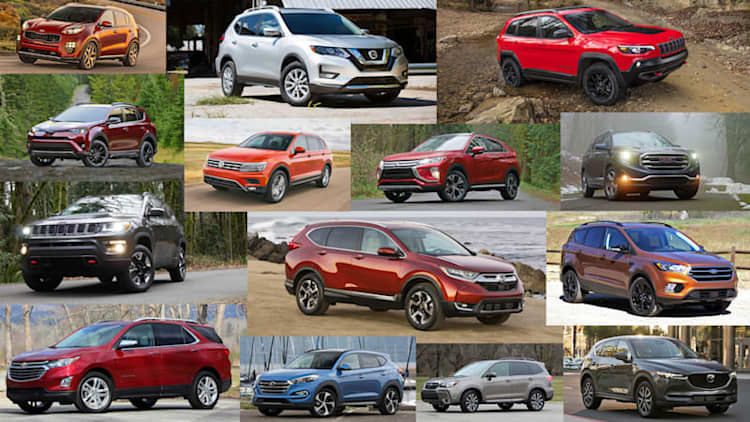 You can probably guess which vehicle is the number-one best-seller, but the rest of the results may surprise you. That's with the front-wheel-drive model. But it's also one of the most efficient crossovers around. It's got the grunt, but it's a bit middling. Chevy adds a sporty new trim. A Chevrolet version of the GMC Acadia would fit there perfectly. Chevy revealed the next-gen Equinox and the compact SUV is getting a diesel. Our Hot Take on the new 'Nox. Here's why the Chevy Equinox is suddenly very formidable. A handsome new body is paired with high-tech options and efficient engines. The dowdy old Equinox is gone, replaced by a sleek new crossover that gets up to 40 mpg on the highway. How American is that new car or truck? Kogod's 2016 index goes beyond the window sticker data to determine how much of your car was built in the USA. GM and the UAW are working to poach skilled workers from Nissan's Smyrna, TN, plant for the General's Spring Hill factory. The location is gearing up to assemble the Cadillac XT5, which is replacing the SRX.